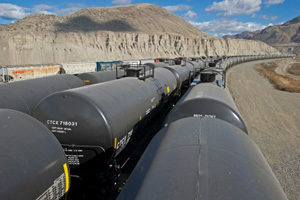 PSA International yesterday announced the signing of an investment agreement with Ashcroft Terminal, whereby PSA acquires 60% of this rail terminal in Western Canada. The deal marks the entry of the Singapore-based global port operator into the North American market as well as its first inland facility in Canada. The Ashcroft Terminal is located approx. 300 km east of the Port of Vancouver. It boasts the area of 320 acres (129.5 hectares) of free-hold industrial land and is the only major private terminal in Canada where both Class 1 railroad lines – Canadian National Railway and Canadian Pacific Railway – run through, transporting import and export cargoes to and from the Port of Vancouver, across Canada and as far as Chicago and other North American markets. The PSA Group intends to partner with shipping lines, rail operators and trucking companies to implement a more robust, efficient and cost-effective supply chain solution for major exporters in Western Canada. The Ashcroft Terminal currently provides transloading, fleet management and railcar storage services as well as logistics solutions for agricultural, mining, forest and oil and gas industries. However, according to its website, the facility does not provide regular services of container handling today. The company informs that a recently announced CAD 28 mln (USD 21.5 mln) upgrade is aimed at strengthening its inland port and container handling capabilities. As a result of the upgrade, the terminal will receive a new rail link to the CN main line, additional rail track of existing infrastructure, an internal road system and a multi-commodity storage facility. Transport Canada, through the National Trade Corridors Fund, will provide a grant of up to CAD 9.2 mln covering one third of the project’s cost. Obviously, joining forces with PSA, which is specialized in container operations, signals Ashcroft’s serious commitment to develop the terminal into a competitive container facility. For PSA, this acquisition is seen as an important step in line with the current strategy of leading port operators to invest in inland facilities. Thus, DP World has just recently signed a 20-year concession to build and operate a 1,000ha modern logistics hub in Mali. APM Terminals openly stated last September their intention to shift their focus on to inland terminals. In 2016, PSA itself invested to develop and operate 18 railway container terminals in China.